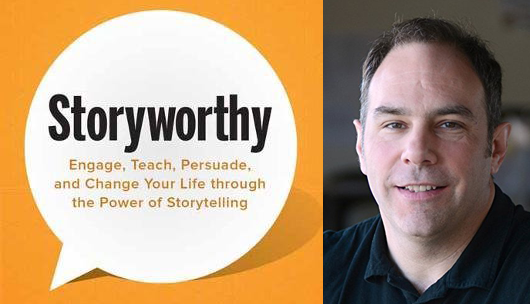 Join internationally bestselling author and 36-time Moth StorySLAM and 5-time GrandSLAM champion Matthew Dicks for the launch of his first non-fiction title, Storyworthy: Engage, Teach, Persuade, and Change Your Life through the Power of Storytelling. In lieu of a traditional book launch, Matthew will perform a one-man show comprising five BRAND NEW stories with short lessons after each story (right from the book!) designed to make you a better storyteller. Books will be sold in partnership with Barnes & Noble of West Hartford. Beer, wine, and snacks will be on sale at the Real Art Ways cafe. All proceeds from ticket sales will go to educational programming at Real Art Ways.